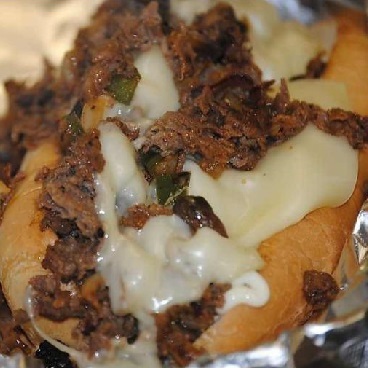 R'Jabs Wings is a locally-owned, family-oriented establishment offering the finest American foods (hamburgers, philly's, wings, fish, turkey burgers, chicago hotdogs, polish sausages, chicken sandwiches, and italian beef at affordable prices. 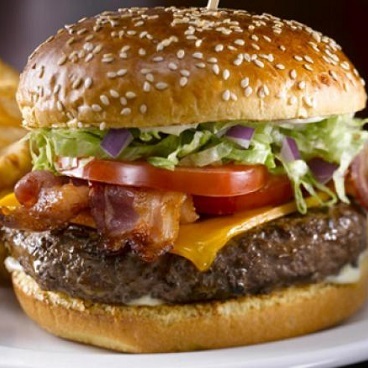 Cooked big, juicy and delicious, try our burger topped with our favorite BBQ sauce, crispy bacon and slice of cheese. 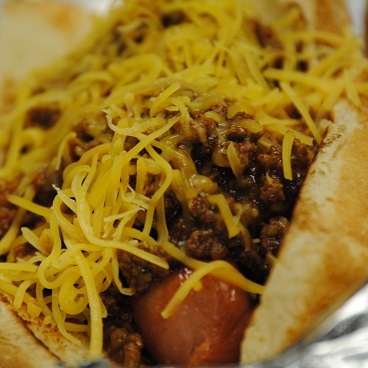 To complete the experience, top it with grilled saute onions and jalepeno peppers. 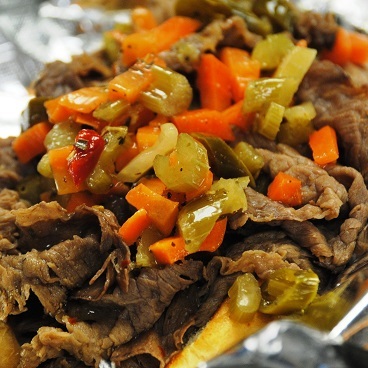 Loaded with thin slices of seasoned roast beef and dipped in an Ajus gravy topped with giardiniera peppers (sweet and hot peppers). 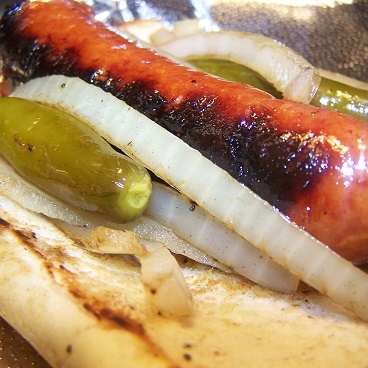 Consists of a grilled length of Polish sausage topped with grilled onions and yellow mustard and optional green sport peppers, served on a poppy seed bun. The sandwich traces its origins to Chicago's Maxwell Street market, and has been called one of "the classic foods synonymous with Chicago". Our Philly subs are made with 6 oz thin sliced USDA choice sirloin and tender chicken breast meat, seasoned and grilled to perfection with Swiss-American cheese on our famous sub roll. Grilled onions, mushrooms, and bell pepper included. 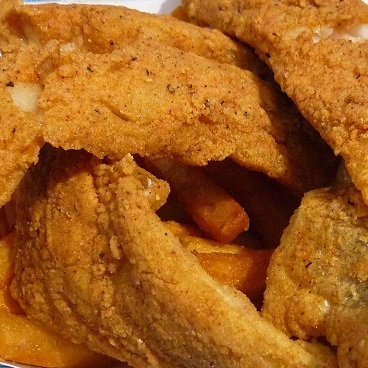 All Fish Combos Served with fries, hush puppies, slice bread, tarter sauce and drink. 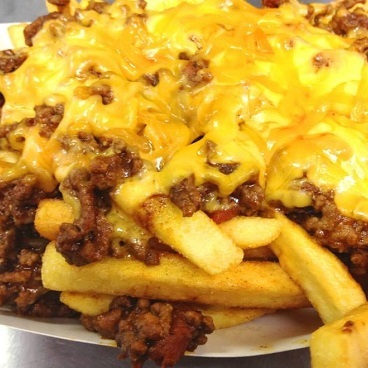 Our fries smothered in our homemade chili and schredded cheese. 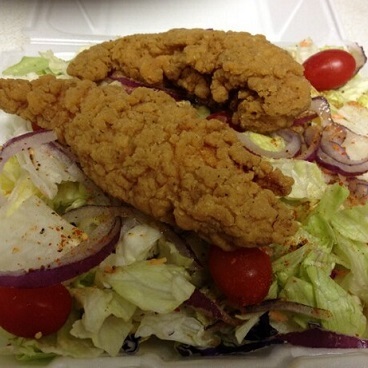 Tender, juicy breast meat grilled to perfection and served on a bed of romaine lettuce, iceberg lettuce and red cabbage with grated carrots, sliced cucumber, grape tomatoes and Monterey Cheddar cheese, made fresh daily. Good food is hard to find! Here at Rjabs, we're honored to be your neighborhood spot that meets the need of our community. Tell a friend and spread the word, we love new customers. If it's just a quick pickup, call-in, or you want to sit and eat, Rjabs is more than welcome to have you. 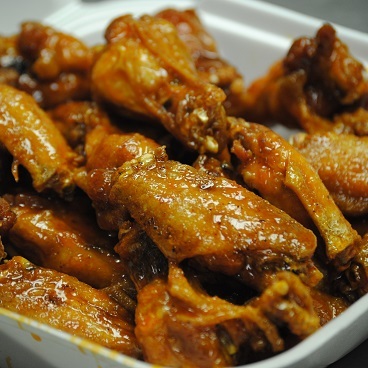 At JABS you can't hit just one WING, you have to KNOCK all of'em OUT! We believe in customer satisfaction so your feedback gives us an idea on what we need to do to make the experience at Rjabs top quality. We're on Yelp, FaceBook, & Twitter. Leave us your feedback.